My newest tag is the result of a challenge smoosh on my GKT Forum. This is on it's way out now to Forum members as well as Always Listers. I used the artwork of ©Anna Marine. Her work is PTU and you MUST have a license. Extras available for download below. I'm a tag, stat, banner, blinkie, Etc. designer. I'm also a Stay At Home Mom to Sapphire, and Wife to David. Designing is my stress outlet and my get away from everything. I love doing it, and can't ever imagine NOT doing it anymore. If you do any of my tutorials, I would love to see your work and maybe even show it off on my blog here! So feel free to send me your results at SexyGothAngel@aol.com! All tutorials found on this site are of my own kreationz, any resemblance to any other tutorial is coincidental and completely unintentional. Please do not Hot Link any of my images or files. Please do not copy and paste any of my tutorials online, do not download them, etc. Group owners, if you want to use my tutorials, please link your members to my blog. If tuts have supplies, please do not share these supplies, please do pass along the tut link so that others may download themselves! All word art here is offered FTU. If you want to share it, please direct anyone to my blog for download. Please Do Not share without my preview and blog link. Tutorial writers, if you would like to use my WA in your tuts, that is perfectly fine, please just direct anyone to my blog for download. Art © Keith Garvey. 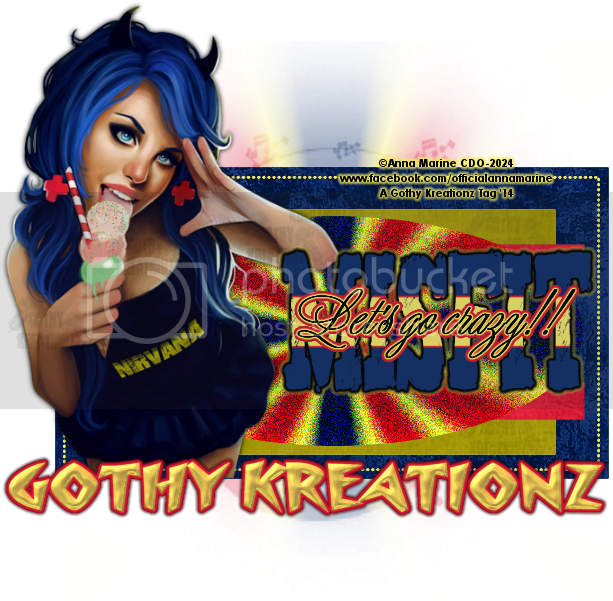 Layout Redisigned by Gothy Kreationz. Awesome Inc. theme. Powered by Blogger.